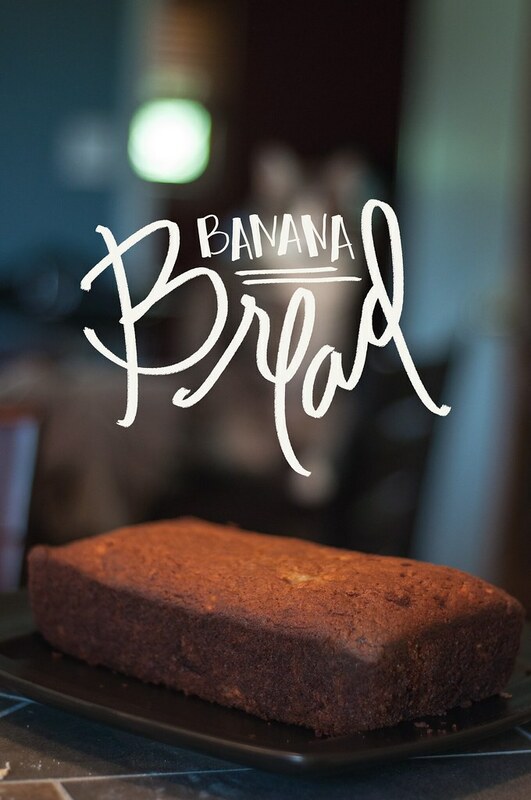 Banana bread is one of my favorites. 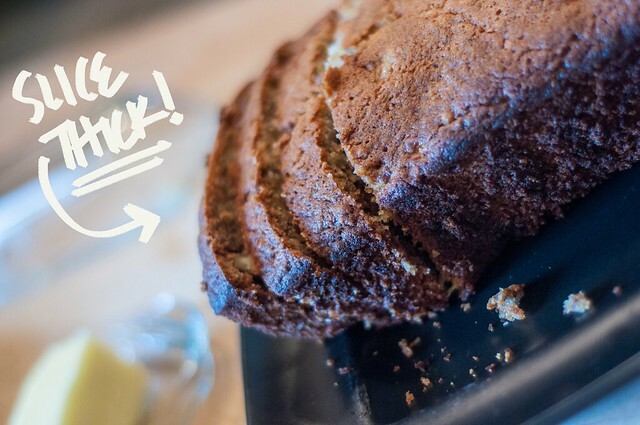 My mom makes a mean banana bread and she gave me a great recipe for it that I’ve always loved to make. Like most of her recipes, I tend to modify them a little over time depending on which ingredients I do or don’t have. Here’s the version I made last week. Preheat the oven to 350 degrees. In a generously greased loaf pan, cream together butter and sugar, then add the eggs and the bananas. Make sure you crush the bananas before you add them to the egg mixture because otherwise they get too slippery to mash. Combine well. Then add the flour, baking soda, and salt to the creamed mixture. Add vanilla. I feel like I ran out of words for “combine” and “add.” Where is my thesaurus? Marry. Unify. Unite. Merge. Blend (but don’t use your blender or mixer.) Bake at 350 degrees for an hour. It’s nice because you really don’t have to dirty too many dishes in the process – just mix everything in the loaf pan (but make sure to grease it up nice before you start). You might also want to wipe down the edges before you bake it to avoid any little charred bits. Seriously. I eat like 5 slices in a sitting. I also lather it with butter because, well, this is the south and that’s what we do here. I have made eight loaves this week and It is delicious!!!! I absolutely love this recipe!! I make a loaf every week!! !